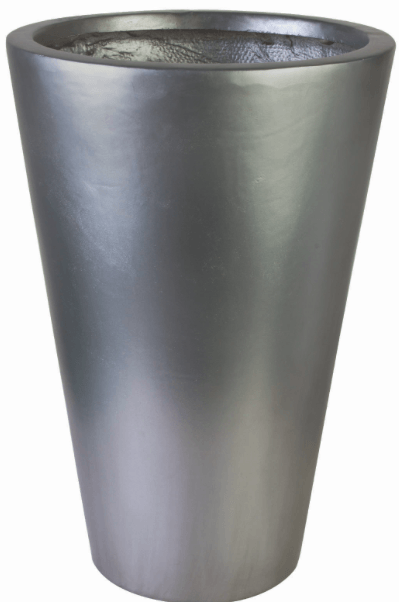 Standing tall and proud at 24 inches, this beautiful Cylan vase draws the eye down to the roots with its beautifully smooth and tapered shape. It allows the viewer’s eyes to race to the top of the natural beauty planted within its stone cast shape, and it provides a natural contrast between the plant’s greenery and its alluring black finish. Where beauty in natural foliage is the goal, this planter fits into any home decor.